You must remove any visible mold growth before you prime or paint. If you don’t, the mold will continue to be a problem even if you use a mold inhibiting paint. 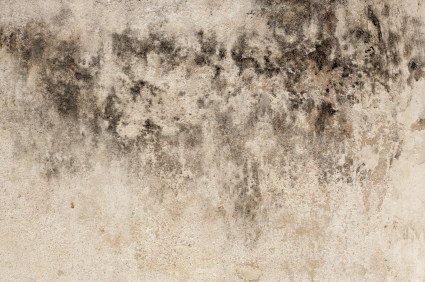 Mold is a fungus that likes moist conditions. It eats the surface of anything it grows on. That means mold not only damages paint, it also damages metal and wood. You must eradicate it before you do anything else, especially sanding. You don’t want to spread mold spores all over your home! Sanding to remove mold will not work. It tends to make the growth worse later by embedding the spores deeply into the sanded surface. The best way to kill mold is to prevent the conditions that cause it in the first place. Yet once you have a mold problem, you need to kill any mold spores that are present. Always use a damp cloth to wipe away any mold that may have dried on the surface. Then prepare to deep clean. While bleach has been the chemical of choice for years and is very cost effective, it only kills the surface manifestations of mold. It will completely kill the fungus on hard surfaces, so it is a logical choice for window frames, etc. 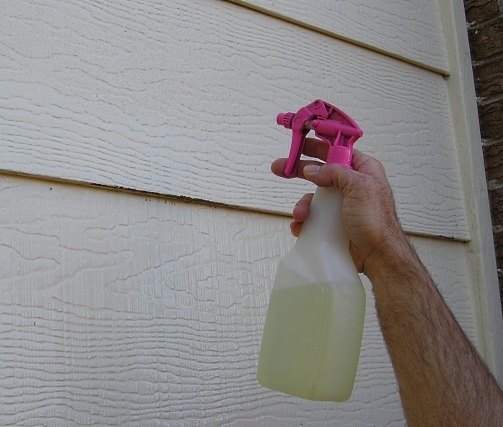 For paint on wood, bleach will only deal with the surface problem, not a deep problem caused by moisture. The bleach available to homeowners is only 5% chlorine and 95% water. Recommendations to dilute the bleach even further to a 1:10 ratio will not prove effective for long-term control. There are additional downsides with using bleach. The use of bleach will cause premature fading and discoloration of the existing paint finish. There are some new “green” products on the market that claim to remove and prevent mold. Their effect on paint cannot be verified at this time. 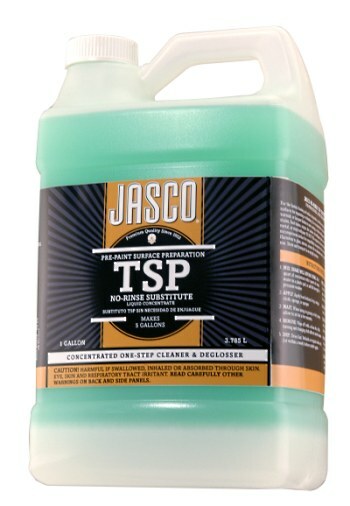 Because bleach fades paint, TSP is a good alternative to using bleach. It kills mold spores and does a good job of cleaning. There are “green” versions are usually made with sodium metasilicate which is also highly alkaline (a property shared with chlorine). If you do opt to use bleach, you need to mix it properly for the situation. The mixture you use to clean mold before repainting is very different from the mixture you will use for regular mold prevention maintenance after painting. Always Work with Mold Using Moisture. Never try to remove mold on any surface when it is dry. Always moisten the surface. This will prevent mold spores from vaporizing into the air. Using a microfiber cloth will trap microscopic particles. You want to be gentle. Scraping with putty knives can gouge the paint or damage the surface beneath, requiring additional preparation before painting. Use of a soft scratchy pad may be helpful, rather than turning to scrapers. Rinse the cleaning cloth frequently in clear water, before dipping into the cleaning solution. After you have cleaned away all the mold, dry the surface and allow it to air out completely. You may want to watch the area for a few days to see if any mold reappears. This could be a sign that the problem causing the mold hasn’t been identified yet. Mold will come back, unless the source of moisture feeding it is cut off. That brings us back to the beginning of the article. The best way to kill mold is to cut off its supply of moisture. TSP and bleach are good for cleaning it up and killing surface infestations. But if you want to keep your paint job looking great, you’ll want to stop the moisture problem that’s the real cause of the problem. Most interior paints already have anti-mildew formulations. Bathroom paints, those paints specifically designed for “wet” areas, will have extra chemicals to fight mold. You can also use one of mildewcide additives that are available. These can reinforce the anti-mildew properties of any paint. Mildewcides will not affect the color or sheen. These additives are designed to inhibit the growth of fungus reducing the need to be constantly cleaning mold.